Today I put flannelette sheets on the bed, for the first time in a long time. It was one of those moments where you finally accept that yes, winter is coming (G.O.T reference, win!) and there's not point trying to kid yourself that it's still warm. Of course, on the other side of the world it's just about to turn Summer - jealous! I was always such a winter bunny, but I absolutely hated the last two winters and now I quite like the warmth. I actually did these nails a really, really long time ago - just before Christmas, but I didn't put them up in time and suddenly it was after New Years. Now seemed an appropriate time to share them with the world! The little snowman is my fav! So cute. I kind of love them. Christmas-time Jessie did alright! OPI - Suzi Loves Cowboys, You Don't Know Jacques! I have a tutorial on YouTube for the snowflakes, by the way. They were quite popular design! You can watch it here, and please subscribe ☺. Watch the tutorial for these here! Wow my hair was blonde at the time. Hope you like these! I'm back at nail school today so will have an update about that in a few weeks☺. Too cute hehe! I love it :-) the tree just looks amazing! 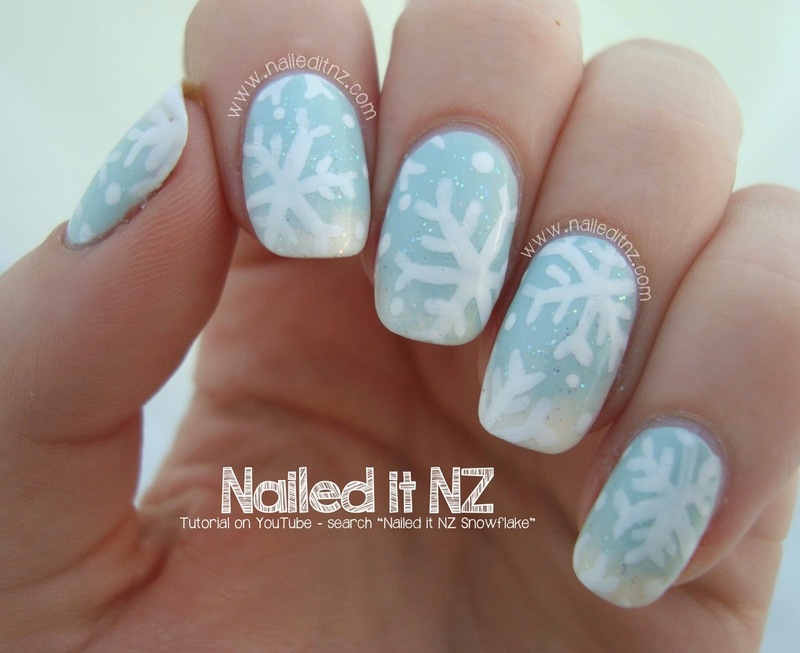 Such a cute wintery manicure! We're only just getting in to summer here so it seems really strange seeing a winter mani!